God is warning someone today. He says “Stop getting in my way”. You keep complaining that your home is not what you envisioned it should be. You are getting it all wrong. You are trying to shape your home according to your wisdom. You are forgetting that God is the one with the master plan. He designed that home and He has a charted a course for the fulfillment of the purpose for which He set it up. You need to trust Him enough to build your home for you. Trust in the Lord with all your heart and lean not on your own understanding. In all your ways, acknowledge Him and He will direct your path. God is the perfect manager and director. Stop struggling to sit in His chair. Even the Bible tells us that except the Lord builds the house, the builders build in vain. A wise woman builds her house. A wise woman hands it all over to the Lord. I tell you sincerely, outside of God, we are practically nothing. You can’t do it on your own. The strength of man is no strength in the real sense. The arm of flesh has no ability and it fails and will continue to fail. That’s why you keep getting frustrated. You keep saying, “But I am doing my best to satisfy this man” and so on. Let God carry you in His arms. Let Him hand you the bricks one after the other. Hand the wheels over to Him. He’s the only one that can drive you(your home) to safety. So, your husband is one way and you don’t like it. 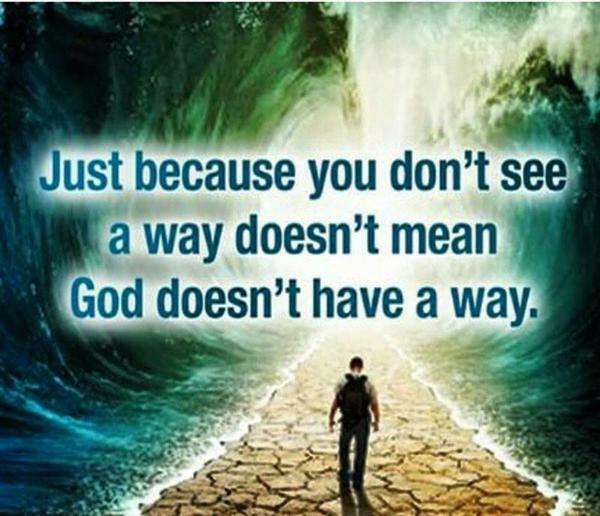 You need to find out if God wants it that way. If not, you’ll keep giving yourself unnecessary stress. Your prayer henceforth should be: “Lord, I don’t want this marriage to be what I think it should be, I want it to be everything You designed it to be.